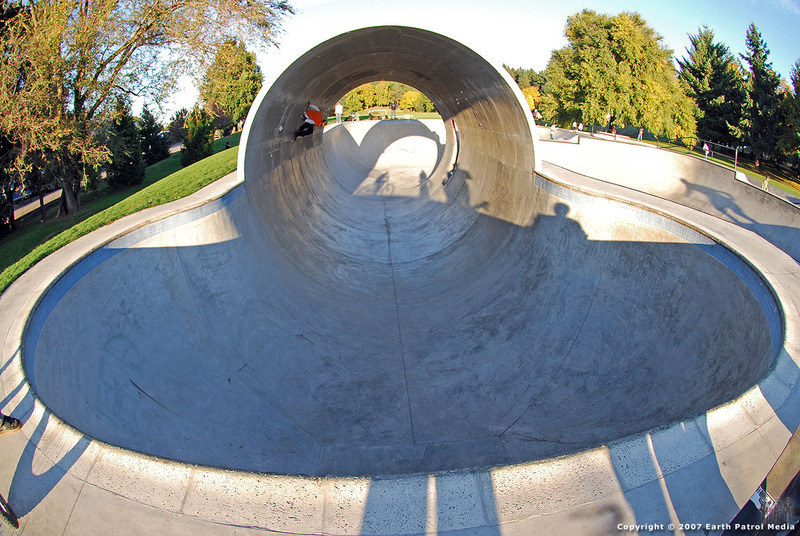 Like the title says, we have some Fresno pool skating for you as well as some shredding at skate parks up the I-5 corridor, final destination Pier Park. 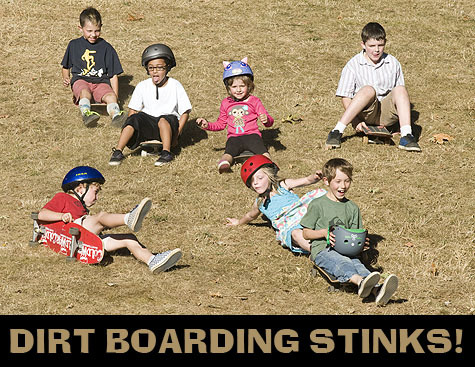 KC and Lage were kind enough to share their videos over on the Earth Patrol Network of their backyard adventures and skate park exploits. Check out all the pool cancer, bloody and bruised skating after the turn. EPM “keep the coping dry, we don’t use that spray” Out! 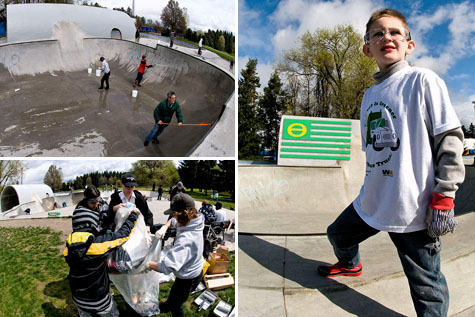 Spring-like weather was in full force last Sunday and skaters flocked to Pier Park to enjoy the balmy conditions. Check out a few shots of folks soaking up the sunshine in this week’s Foto-Friday gallery. EPM “hoping for a repeat this weekend” Out! 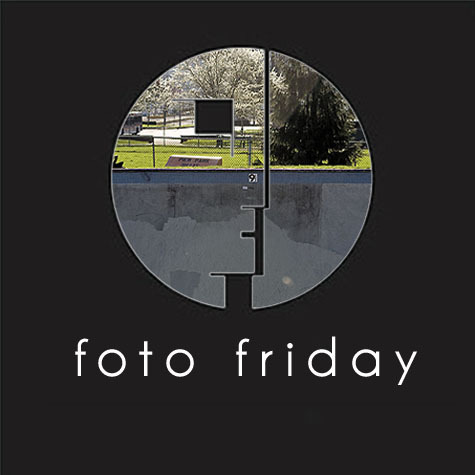 This week’s Foto-Friday contains a few shots from last Saturday’s skate activities at Pier Park and Burnside. The weather was great and legions of skateboarders were out in force. Check out all the pics in the gallery. EPM off to dig and skate. Today is the second anniversary of Pier Park’s opening and it looks like the weather is perfect for skating. So here’s to you Pier Park and all your concrete glory; cheers! Now check out some pics of MC getting some love from the park earlier this summer and then head on out and get some for yourself. Thanks MC for the art as well as your skatepark advocacy. In celebration of Earth Day, we thought you might like to see some of the cleanup action at Pier Park last Saturday. The weather was perfect for the cleanup activities. Thanks to everyone that came out and helped. The park looks great. Check out some photos after the turn. Stop the presses! It’s time for our official Pier Park Oregon Trifecta post. There was so much Trifecta coverage during the summer, we decided hold-off until the dust settled. Well, it’s been six months and the dust is mud. Check out Rune, Benji, Sergie, Morgan, Packy, Salba, Duane, Charnosky, Jessica, Julie, Holly, Nolan, Jake, Patch, Beenie and many more in the gallery; see all 90 photos. 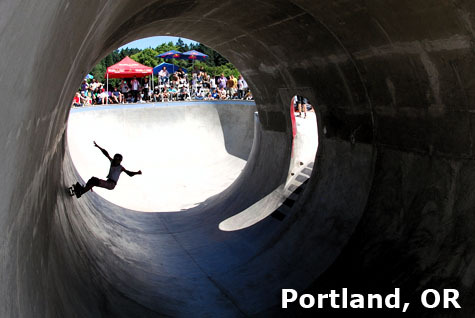 Stop number five on our Buy Nothing, Skate Everything tour was at Pier Park. This park is so good. If you like it big, Pier Park is all you need. Now go get your 3D-pipe-gazing-session on after the turn….